Although modern orthodontics have come a long way, traditional metal braces still have a pretty poor reputation. Many people still think of them as an unflattering mouth full of metal, and some even delay getting orthodontic treatment because they’re afraid of how braces could affect their looks. Teens especially may be mortified by the idea of sporting a “brace face,” even though these treatments have improved their look in leaps and bounds in recent years. Here at Advanced Orthodontics, we want our teen patients to be excited about starting their journey towards straighter teeth, not dread it. Fortunately, Invisalign Teen can achieve just that! Invisalign Teen is a nearly invisible way to straighten teeth without all the restrictions that can accompany metal braces. 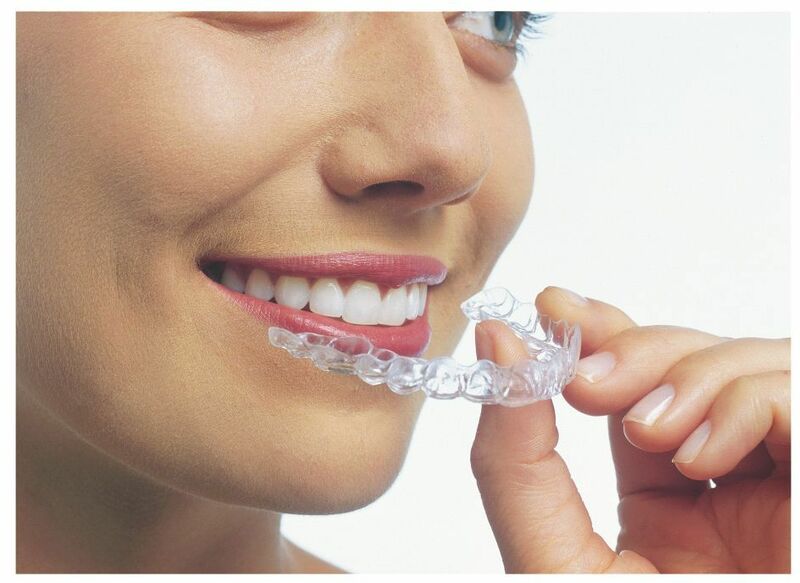 Instead of more bulky wires and brackets, the Invisalign system uses a series of clear, custom-made, removable aligners. Teens wear these aligners over their teeth, changing them out for a new set every four to seven days. Gradually, the teeth shift into their new positions, leaving behind a straight, confident smile. Beyond the obvious invisibility factor, why is Invisalign such a good choice for teens? Let’s take a look! As long as teens wear their aligners the recommended 20-22 hours a day, Invisalign Teen can be just as effective as traditional braces for most common dental issues. 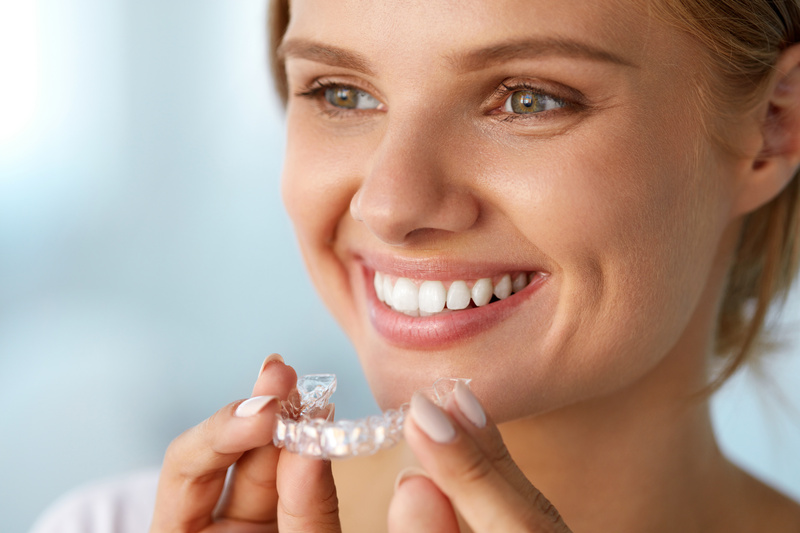 Invisalign can effectively treat most mild to moderate cases of underbite, overbite, overcrowding, and gaps between teeth. 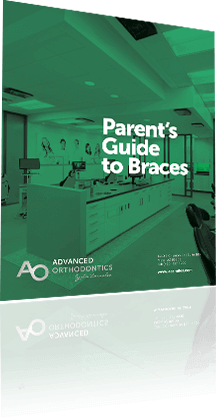 Advanced Orthodontics offers a free initial consultation to prospective patients, and we’ll let you know if you or your teen are a good fit for this treatment. Although not every teen will be a candidate for Invisalign, most will be. One of the steepest learning curves that can come with traditional braces is the food restrictions. Nothing sticky or chewy, or hard or crunchy. No pizza crust, no nuts or apples, no candy or chips. This can be difficult for teens when so much socializing revolves around exactly the kinds of foods they aren’t meant to eat! Invisalign aligners can be removed at mealtimes, so teens can eat just about everything they normally would, as long as they’re vigilant about brushing and flossing afterwards so food and bacteria won’t be trapped against the teeth. Food isn’t the only can the benefits from the flexibility of Invisalign Teen. Contact sports can be rough on players wearing metal braces since the brackets and wires can break or come loose and cause irritation or pain. With Invisalign, teens are able to remove their aligners and wear a regular mouthguard, putting the aligner back in after practice or the game. Traditional braces can also get in the way of playing some musical instruments, but Invisalign’s removable aligners allow for all the uninterrupted music-making you or your teen can manage! Research has shown that parents all too often underestimate the extent to which teens feel self-conscious about their crooked teeth, or other dental issues. Although traditional braces are excellent as a long-term solution, they can sometimes make insecurities even worse in the short-term. Because Invisalign Teen aligners are almost invisible, no one even needs to know you or your teen are wearing them. This removes an authentic source of stress, and makes it easier to focus on the more important things in life! Not only are traditional braces more cumbersome than Invisalign, but they also tend to require more frequent orthodontist visits for maintenance. Invisalign Teen generally requires less time with orthodontists since there aren’t any adjustments to make and no broken wires or brackets that need to be fixed. After the initial appointment, follow-up appointments will usually be scheduled for every 10 – 15 weeks. One of the most common concerns that come up when discussing alternatives to braces is cost. The good news is that Invisalign Teen costs the same as traditional braces! Many dental insurance policies will cover Invisalign Teen orthodontic treatment for patients under eighteen, but if yours doesn’t, we’re happy to offer in-house payment plans with no interest. Our treatment coordinator will help find a comfortable payment plan that works with your family’s budget because we believe no patient should ever have to lose out on orthodontic treatment that will make a positive difference in their lives due to finances. We can all agree that a straighter smile is a beautiful thing, but beyond the cosmetic, did you know that there are other health benefits to orthodontics as well? A poorly aligned bite or crowded teeth can lead to a whole host of other health problems such as headaches, jaw pain, tooth grinding, gum disease, or general inflammation. Teens are way too busy to be sidelined by preventable problems like these! Invisalign Teen orthodontic treatment with Advanced Orthodontics will result in a straighter, more aligned smile and an optimized bite pattern. This not only makes teeth more attractive, but leaves them easier to clean efficiently, and functioning in the way that they’re meant to. Invisalign Teen does require dedication on your part or the part of your teen. It’s most effective when worn 20-22 hours per day, and consistently changed out every week. Although teens aren’t typically known for having a penchant for responsibility, a clinical study data showed that teens wear their aligners for just under 21 hours per day, which is exactly as recommended. In fact, teens stick to their Invisalign orthodontic plan more responsibly than many adult patients do! But for added reassurance, each Invisalign Teen aligner has a blue indicator that will fade over time when used as directed, so we’re able to track compliance. If you or your teen are in the Mesa or surrounding area, and interested in exploring what Invisalign Teen has to offer, Advanced Orthodontics has got you covered! We provide a lively office environment, and our skilled staff works hard to create an atmosphere that you’ll look forward to visiting. At your free consultation, we’ll show you around our boutique office, introduce you to our talented technicians, and discuss treatment options with Dr. Larrabee. Ready to embrace a straighter smile without all the hassle? Get in touch today to schedule your free consultation!